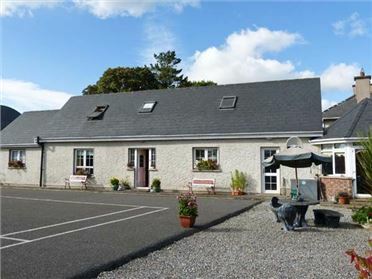 Realt na Maidne is a delightful, detached cottage in the quiet village of Claddaghduff in County Galway. The cottage offers three ground floor double rooms, one with an en-suite shower room, and two family rooms, featuring a king-size double and a single bed. There is also a ground floor family bathroom and a first floor bathroom with a corner bath. 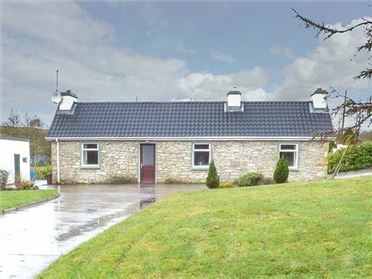 The cottage offers a well-equipped kitchen, a dining room and a sitting room with an open fire. There is also a conservatory with a small dining area and glorious views of the surrounding area. 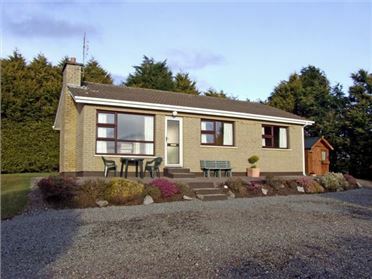 Outside, you will find a front lawned garden, a rear lawned garden with furniture and a barbecue and ample off road parking. 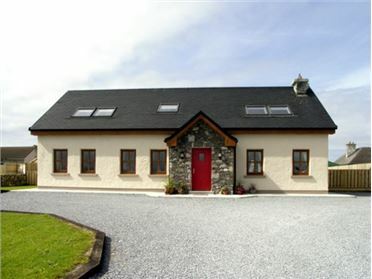 Realt na Maidne is the perfect base for friends and families wishing to explore this beautiful area of Ireland. Five bedrooms: 3 x ground floor double (one with en-suite shower, basin and WC), 2 x family room with 1 king-size double and 1 single. Bathroom with corner bath, hand-held shower, basin and WC. Ground floor bathroom with bath, shower over, basin and WC. Kitchen. Utility. Dining room. Sitting room (seats 5) with open fire. Conservatory with dining area.